Donald Winnicott was not a political radical, yet in recent years, as Adam Phillips (2007) notes, ‘Winnicott has become […] something of a counter-cultural voice’ (p. xii). Winnicott’s ideas have increasingly found an audience in the critical discourses of the humanities and social sciences. But why Winnicott now? This article wagers that thinking Winnicott in relation to the idea of ‘counter-culture’ helps explain the recent critical purchase of his thinking. 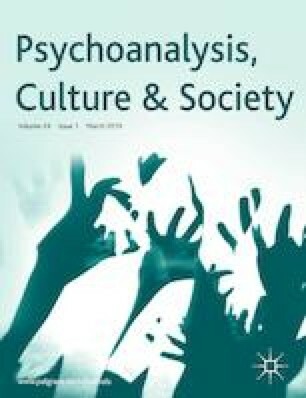 Taking a long view, the article explores Winnicott’s relationship with the ‘counter-culture’, understood as both historical phenomenon and intellectual ethos. It traces his role in shaping the post-war administered society against which the counter-cultural youth were to rebel, and outlines his contribution to a politics of care at odds with the ‘common sense’ of contemporary neoliberal ideology. Rustin, M. (2015) A relational society. In: S. Hall, D. Massey and M. Rustin (eds.) After Neoliberalism? The Kilburn Manifesto. https://www.lwbooks.co.uk/soundings/kilburn-manifesto, accessed 27 March 2019.